The CyanogenMod Android custom ROM may have just reached an important milestone of 1 million installs, but as we’ve said before, it’s getting ready for even bigger things to come. One of these, is to liberate the HP TouchPad from the uncertainties and lack of app support of WebOS. 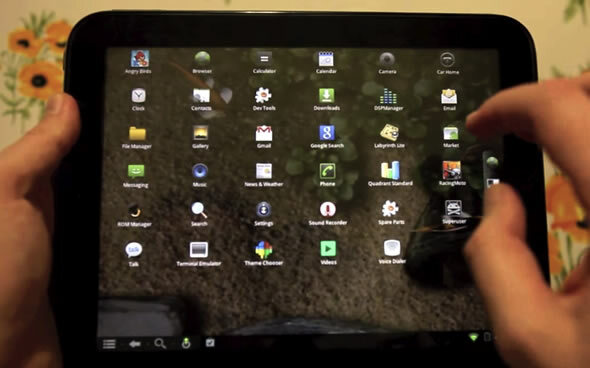 We’ve already seen CyanogenMod 7 (CM7) running on the tablet. But the install was plagued with a bunch of issues and CM7 is based on the not so tablet-friendly Android 2.3 Gingerbread. The CM team has been fiendishly working on the latest version of the ROM, CyanogenMod 9 (CM9), which is based on the spanking new Android 4.0 Ice Cream Sandwich. 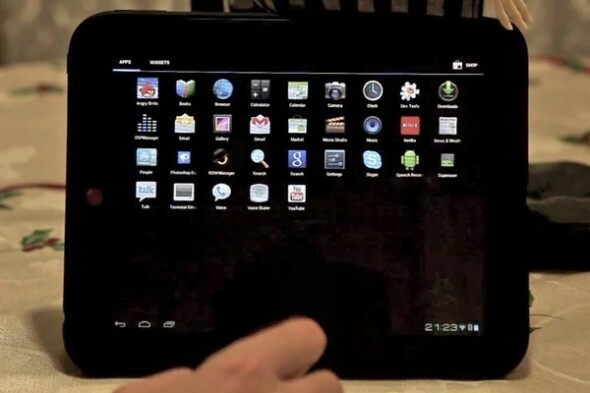 Although a final stable build of CM9 has not yet been released for any device, the aftermarket ROM has already found its place on the HP TouchPad. It also seems that significant progress has been made since the last time we saw the TouchPad flirting with Android and CM. As you can see in the preview video below, everything is working pretty smoothly, including Wi-Fi and Bluetooth. Only key sticking points remain the camera and video playback. The, now-defunct, HP TouchPad‘s utility just went up a notch, as the Zinio magazine reader app has now been released for webOS. Zinio is a popular digital magazine newsstand application, offering a truly huge and varied collection of popular and niche magazines. Zinio has been available so far for the iPad, iPhone, Android, Mac and Windows PCs. You can buy digital subscriptions or single issues and your library automatically syncs between devices. I can’t think of a better use for the TouchPad than to be able to automatically download and read all your favorite magazines. We were pretty up-front on our view of the ephemeral use of the paper and ink invested in printed magazines, in our Nook Color review, and Zinio might just be the killer app for the TouchPad. Only negative is that Zinio’s prices are a bit on the high side. You can now download Zinio on your TouchPad from the app catalog. Note that some users are reporting issues with syncing their existing libraries to the TouchPad, however this is the first release for webOS, hopefully the folks at Zinio will iron out any kinks quickly. HP had promised to continue to provide over-the-air updates for the now discontinued TouchPad and today we have the first proof of HP’s commitment. HP has just released software update 3.0.4 for the TouchPad, which will be distributed automatically via Wi-Fi to all devices. The update is said to make the TouchPad snappier, something we’ve found was needed. The new software also includes a new camera app, again something that was lacking, improved messaging and several interface tweaks to make things look nicer. 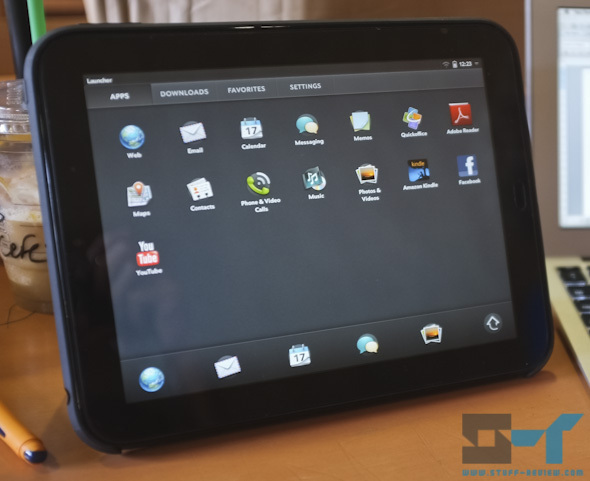 Many of you were able to purchase the TouchPad at bottom prices, but what about the early adopters which found that their weeks old WebOS tablet, had dropped in value by multiples. Well TouchPad and Pre 3 owners in the UK, France, Germany and Ireland can claim big refunds on their WebOS devices, provided they were activated before August 23rd. The refund that can be claimed is the initial price paid minus the fire sale price. For example, 16GB Touchpad owners can claim the difference between their purchase price and GBP89 in the UK or EUR99 in France, Germany and Ireland. Refunds are of-course also aplicable for 32GB and 64GB TouchPads and the Pre 3. More information can be found on HP’s Refund Program micro-site after the break. The offer seems to be only available to customers in these four countries, at least for now. 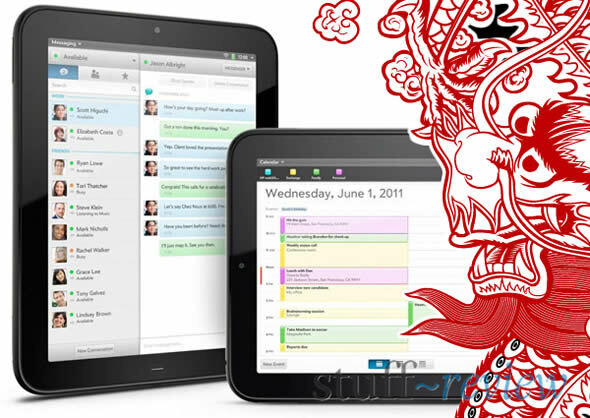 HP is said to produce another run of HP TouchPads to satisfy US fire sale orders that were left hanging when the tablet was quickly sold-out. Europe is not yet said to join-in this second round of joy. Following HP’s discontinuation of the TouchPad and the ensuing fire sale of said tablet for as little as $99, a lot of lucky individuals managed to snap the nevertheless capable tablet. 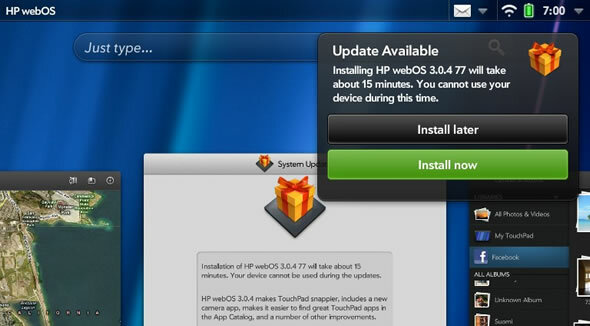 Although HP committed to continue to provide updates to webOS devices, few developers will be willing to port their applications to it, leaving ultimate users with few third-party apps to load onto their devices. Hence started the race of porting Android onto the TouchPad. The most prominent team so far has been Team-Touchdroid, which regularly uploads videos onto YouTube with updates of their efforts. So far, they had been able to load Android but were lacking touchscreen drivers for any form of touch control. 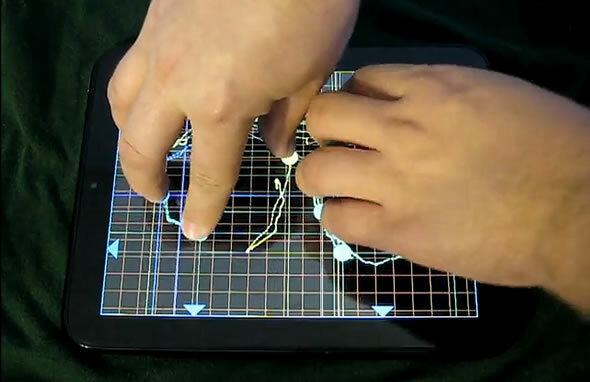 The latest video however, shows that the team has managed to get full 10-finger multi-touch support on a TouchPad running Android 2.3.5 Gingerbread. TouchPad owners anxiously waiting to see the results head over the break to view the video. An HP spokesman has told CNET that, “HP is fully committed to the ongoing support and service of customers who purchased webOS devices”. HP added that it will provide over-the-air updates to the TouchPad which will improve its functionality: “We expect that HP TouchPad owners can look forward to an over-the-air update that will enhance the platform and add functionality and a growing applications catalog”. HP also mentioned that it has experienced a spike in activations since the TouchPad’s price was reduced down to $99 after the manufacturer decided to exit the market. Well no wonder since these things have sold out everywhere since the price was slashed, though it seems there are still some lying around in retailers’ warehouses. We’ve received the below email notification from a tipster. It seems that Newegg has a few HP TouchPads lying around and has decided to finally part with them. Newegg is offering the opportunity to those who had sent a stock auto-notification request for the TouchPad to purchase one at the fire sale price. Kudos to Newegg for devising a gentlemanly way of going about this. Our question is, how much more of these are there, out there, and where is the 64GB TouchPad with the faster 1.5Ghz processor that HP was supposed to have be producing? With HP dropping the price all the way down to $99 for the 16GB unit, the Touchpad has pretty much sold out wherever it was on sale in the US, giving WebOS a few last minutes in the spotlight. In fact the now discontinued tablet has become a bestselling item on Amazon US. Well now the UK is set to join in the picking. A tweet from Dixons head of media relations Mark Webb has announced that the HP Touchpad will go on sale later today for £89 ($146) and £115 ($189) for the 16GB and 32GB versions. We’re also hearing that this will actually be the UK’s official sales price for the tablet and that Amazon UK will also soon be dropping prices to match. We’ll try and let you know as soon as the sale prices hit, but you might also want to keep an eye on the links below as these things tend to sell out fast. 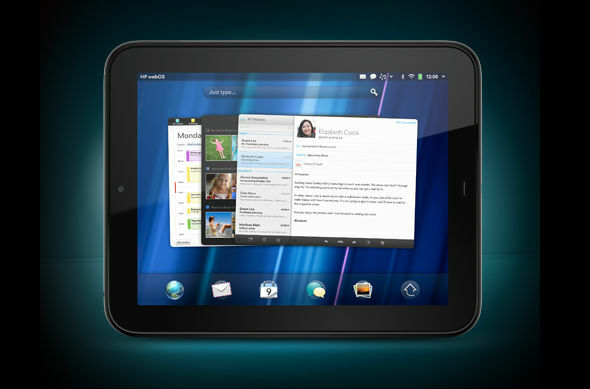 UPDATE: The HP Touchpad is now on sale at Dixons.co.uk for £89 (16GB) and £115 (32GB). Link above, images after the break. UPDATE 2: The Touchpad sold out quickly at Dixons online, you can get it at Currys as reserve and collect at your local store. Well this piece of news has been analysed, probed and dissected from every tech blog out there over and over again. We’ve intentionally stayed away from this, waiting for the dust to settle. However I’ve ran across this video which I found hilarious, enjoy.